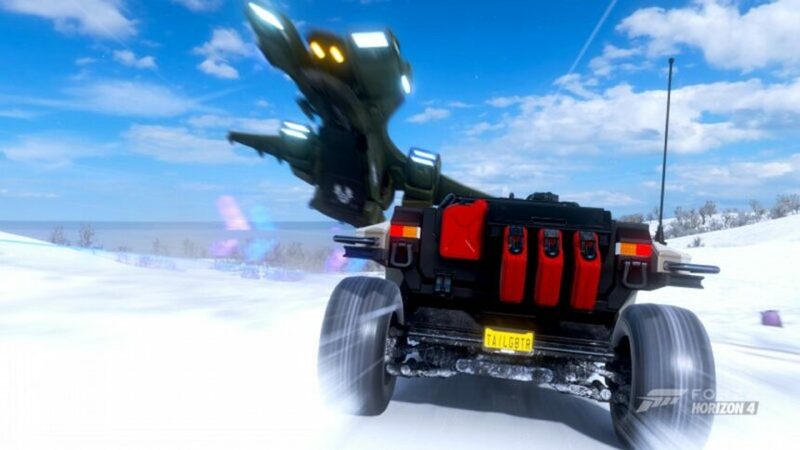 Grab your thick coats and snow boots, because Winter has returned to Forza Horizon 4. A fresh batch of events and content accompanies the snowfall for this week. Read on for the full lowdown on this week’s lineup. A new season brings a new Festival Playlist, but this time there’s been some tweaks to progression. 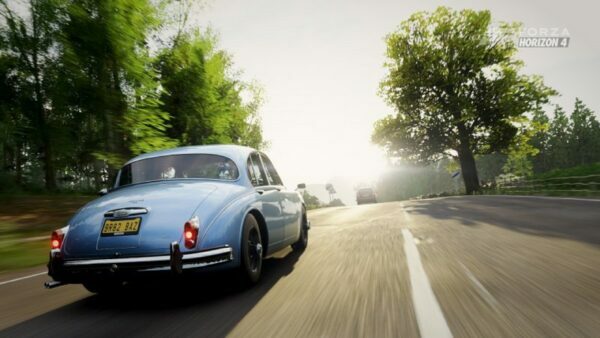 Players no longer have to complete 100% of the Playlist and individual seasons to claim the top prize cars. That bar has now been lowered to 80% (although we remain unconvinced). Let’s break down what challenges players will face this week. 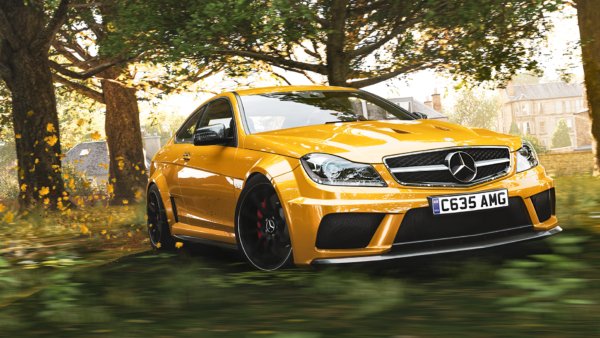 A fresh set of cars are up for grabs as seasonal prizes. Like last week, Stars and Stripes are front and center. First up is the third and final Ford Mustang RTR. The #88 Formula Drift racer is piloted by Chelsea DeNofa and is mechanically identical to Vaughn Gitten Jr’s car. 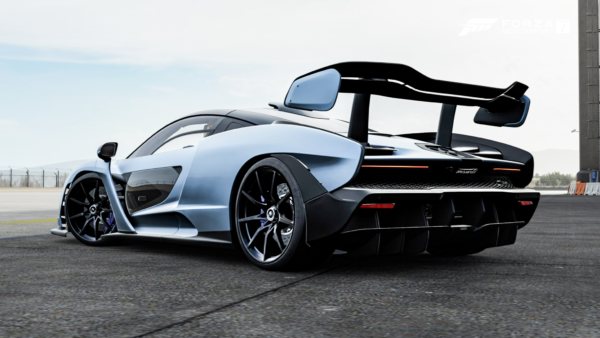 That means a 1,000 horsepower V8 spinning the rear wheels. Caution is advised on these slippery UK roads. Next is the 1952 Hudson Hornet. This classic was a seasonal championship prize back in January. Those who missed out before will now have another chance to grab it this week. The third car this week is the 1999 Lotus Elise. 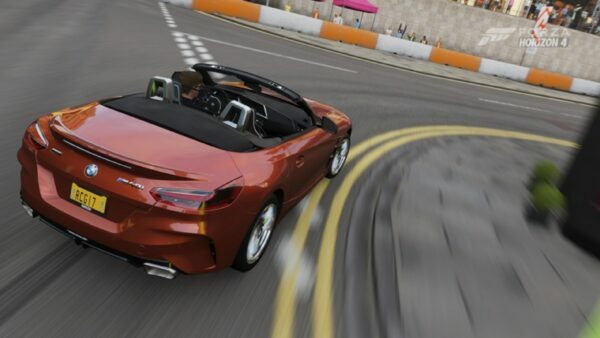 This little roadster makes it’s Horizon debut after being part of the Motorsport car list. Players can obtain this by winning the “Frozen Fun” championship. 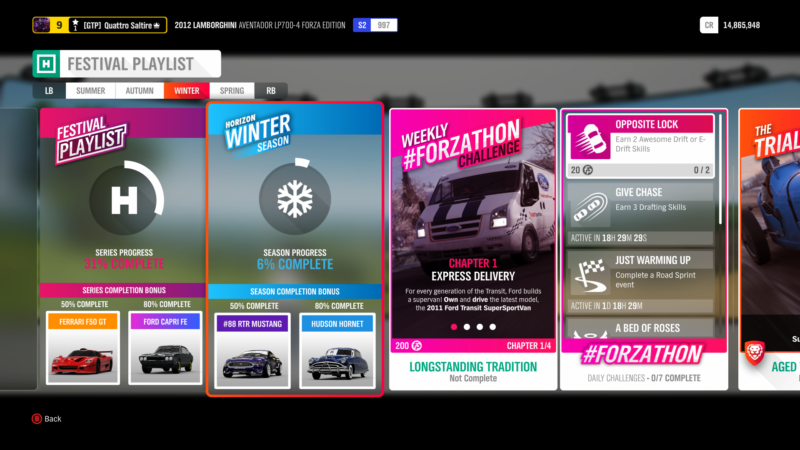 The spotlight for Forzathon this week shines on a proper British workhorse; the humble Ford Transit. The first objective is a simple one; own and drive the 2011 Ford Transit SuperSportVan. Next, channel your inner White Van Man, because you’ll need to win 2 Road Sprint events. The third objective requires you to earn 8 Binman skills. There should be plenty dotted around Edinburgh for this one. 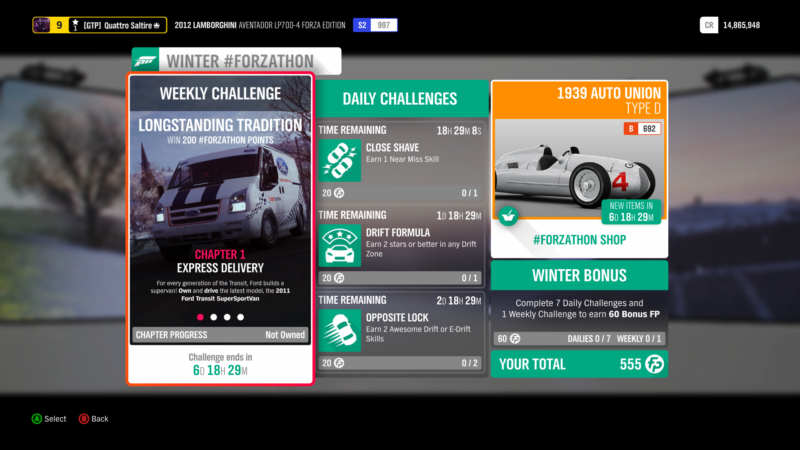 Finally, own the road and earn 10 Trading Paint skills to finish up for this week. 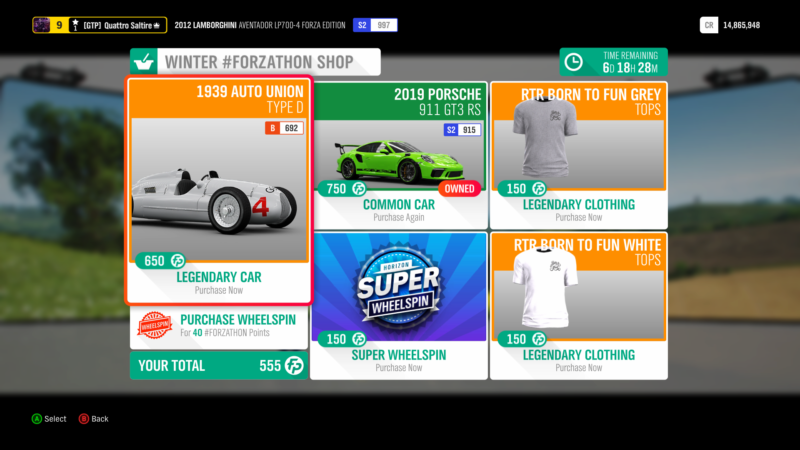 The trend of valuable classics in the Forzathon shop continues this week. The car in question is the 1939 Auto Union Type D. This beast was a dominant force in 1930s grand prix racing. 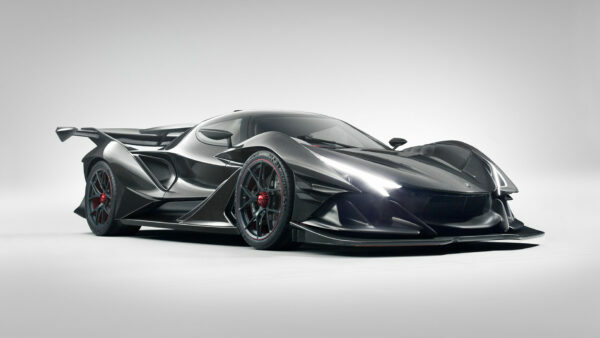 Packing a supercharged 3.0-liter V12 and 550 horsepower, calling this car a handful would be an understatement. 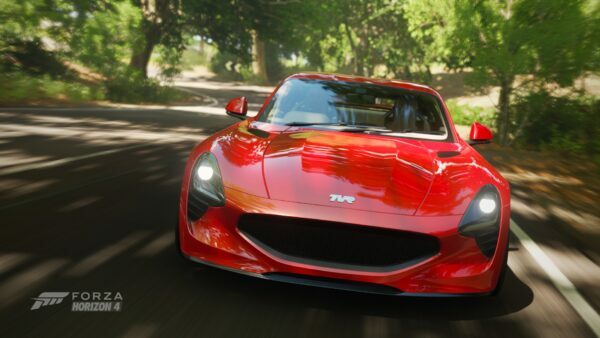 It’s an expensive buy at 650 Forzathon points, but it may be worth saving up for it. A returning face is the 2019 Porsche 911 GT3 RS. 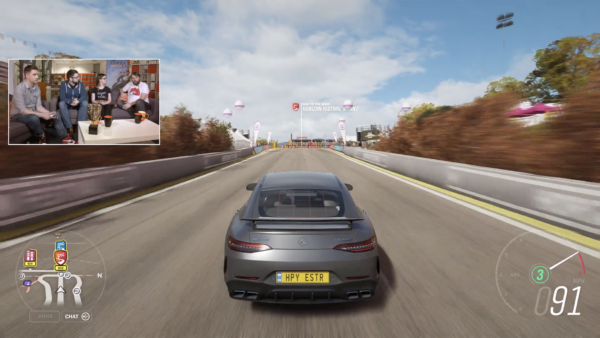 The ultimate naturally aspirated 911 is a favorite amongst players, but at 750 FP, we advise to spend your points elsewhere. Those after clothing items can pick up two RTR “Born to Fun” t-shirts for 150 FP each. 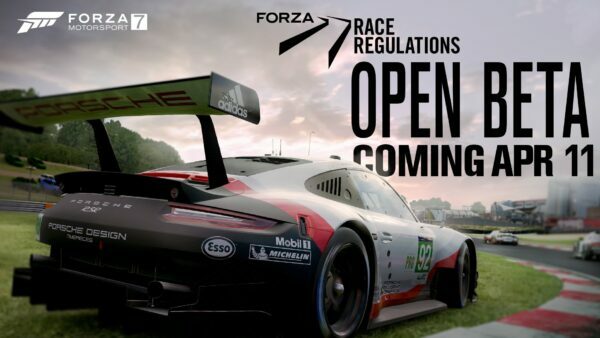 Feature image courtesy of GTvsForza.